Scott's creations are as every bit beautiful and stunning as the musical instruments they hold. I now have 2 of his wall stands, and one floor stand. 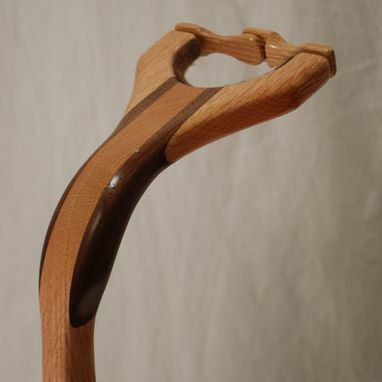 They are expertly crafted using the finest woods. 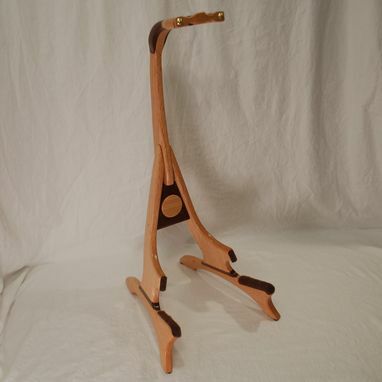 These are the best instrument stands on the market, hands down! Thanks, Scott! My stands are created to be safe and functional for holding most styles of acoustic and electric guitars. You will find many unique features, which allows you to safely display your most valued instrument. I've designed the stands to be very stable with a four point stance and low center of gravity. Each stand has plush felt on the contact points, and an easily operated neck latch to keep the guitar securely on the stand. An optional back-support and/or hygrometer can be added as an additional safety measure while displaying your guitar. 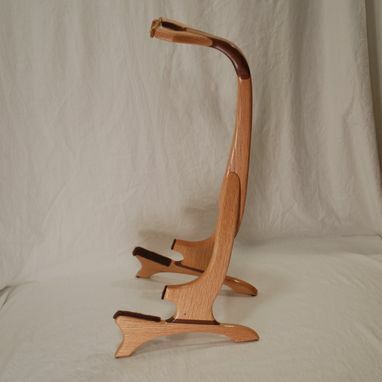 This stand can be made with the primary wood in walnut, cherry, maple, or oak. Special wood requests may have additional charges. Please feel free to email with questions and prices for customizing. Every maker has a story. Be a part of South Mountain Woodworks's story by placing an order, leaving a review, and seeing your review appear here.